Best Winery in Sonoma County, CA! Notre Vue Estate Winery & Vineyards. Notre Vue is a place that inspires great creativity and passion, a lifestyle born for wine lovers, travelers, and explorers; an experience meant to be shared. Our estate is a tapestry of remarkable diversity, offering 710 acres of lush landscape, including 350 acres of devoted open space and 250 acres of vines that go into the finest wines we can produce. Elevations from 200 to 1200 feet will challenge your fitness and renew your spirit with views that seem to defy time itself. Let us share our view, our life, our wine. 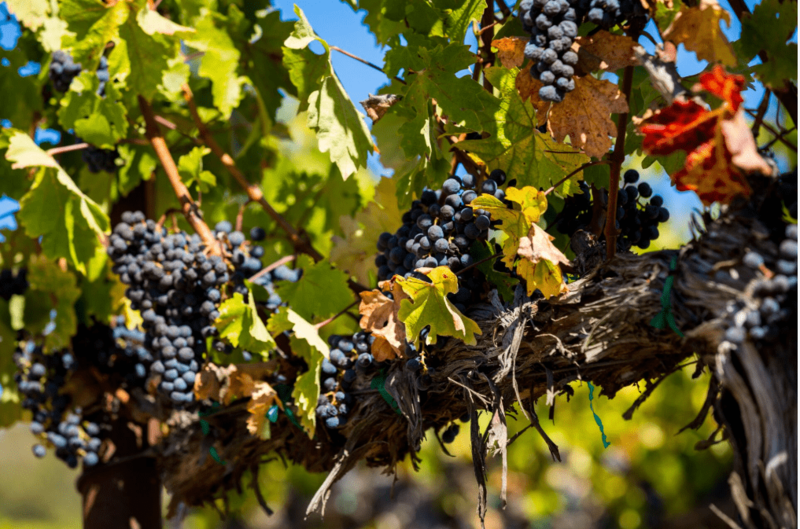 More than just a Sonoma County Winery; Notre Vue is a shared legacy. We were farmers first, Notre Vue Estate Winery and Vineyards has come to life over the past 30 years and is more than just wine tasting in Sonoma County. On the estate you can indulge in a true Sonoma Wine Country experience, complete with everything from winemaking classes to hikes through wild, open spaces, and intimate weddings overlooking vineyards. Just imagine sitting down with your bridal party amid this rustic landscape, the perfect backdrop for your new beginning, enjoying your rehearsal dinner, sharing laughs, exquisite wines; creating memories that last a lifetime. Sonoma County winemaking at its finest. It’s the opportunity to access a legacy of cultivated wines based on an agrarian heritage, a rich tapestry of high-quality vineyards and the wild open spaces of the estate. The vineyards span two world-class viticultural areas allowing the differences in the terroir to positively influence the wines: the Chalk Hill appellation, with its ashy volcanic soils, and the ancient riverbed of the Russian River Valley appellation. Each appellation has unique meso and micro climates, making them perfect for growing everything from Pinot Noir and Chardonnay to Cabernet Sauvignon and Sauvignon Blanc. Our winemaker, Michael Westrick, has created a solid reputation for creating world-class Bordelaise and Burgundian wines over his 25-plus year winemaking career, aligning perfectly with our estate vision of allowing the wines to come through the terroir. Winery events designed to create lasting memories. For destination weddings, personal and corporate events, you’ll find no better location than Notre Vue Estate Winery and Vineyards in Sonoma County. Our hospitality team is committed to the highest level of service in providing crafted experiences of wine, food, and nature that create lifetime memories for our guests. Whether you are visiting us from surrounding Bay Area cities, from around the world, or across the states, we’re pleased to welcome you to the rustic elegance of one of Sonoma County’s finest wineries: Notre Vue Estate Winery and Vineyards. Contact us to schedule your tour or event and experience our view, our life, our wine.